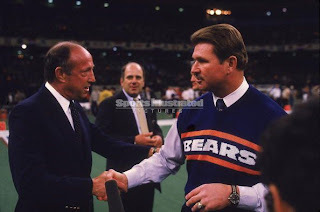 It has been a somber fortnight over here, what with the recent losses of Leslie Nielsen and Ron Santo. 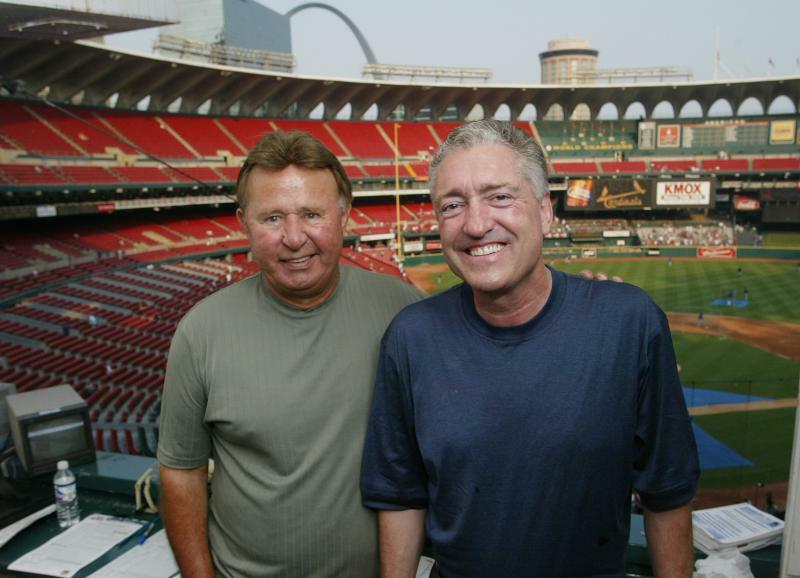 At least yesterday, we were able to hear the uplifting and often humorous, touching, and heartfelt words of Pat Hughes as he eulogized his good friend, Ronnie. 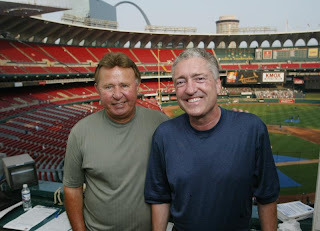 Thankfully, WGN had Ron Santo coverage all day yesterday, including on their website. There was a live video feed, and here is a recap with some video, as well. We've shared these feelings here before, but it is hard to lose Cub fans each year while they go on not winning. Other teams, like the Red Sox, get better and the Cubs try to control payroll in an obvious effort to make more money while having a team that can tread water enough for people to continue packing the ballpark and tuning in on TV and Radio. 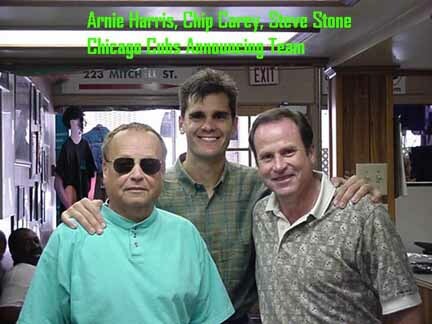 It will certainly be tough to hear games on WGN Radio next season without Ronnie. Who's going to step in? Could Andy Mazur or Cory Provus come back? Dave Otto? I don't think so. How about Rich Burk? I wonder what Rich Burk is up to now that the Beavers left Portland. This wouldn't be much of a concern if Kent Mercker hadn't murdered Steve Stone, thus allowing Bob Brenly to join Pat on the radio. Anyway, that's not why we're here. Yesterday's eulogy by Pat was so in tune with what I was feeling and hoping for, that I wanted to hang on to the words, the stories, a bit longer. Perhaps, by sharing some of Pat's memories here, we'll keep alive the spirits of Ron Santo and his pals: Arnie Harris, Harry Caray, and numerous others. Besides, it's not like everyone reading this had a chance to tune in to WGN on Friday morning. "I knew Ronnie very well and I know he would not want you to be sad for very long. He really wouldn't. 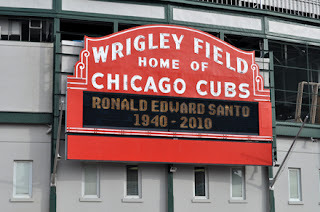 Ron Santo wasn't about melancholy. Ronnie was about having fun and laughing, living and loving. 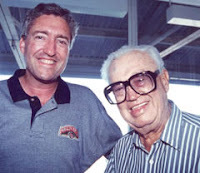 And the two things he loved more than anything in his life were his family and the Chicago Cubs." "Many words and phrases come to mind when I think of Ron. Let’s start with unique, unforgettable, amazing, courageous and inspirational. Natural, genuine and real. Generous, charitable and kind. Loyal, strong, tough, optimistic, iconic. Outrageous, hilarious, fun, loud, self-deprecating. Forgetful, nosy, a fashion cop, a food cop, a backseat driver, the No. 1 Cubs fan ever, a partner and a friend." "He loved teasing. He was all-world in the teasing category. And he wanted you to tease him right back. He would poke fun at me at my clothing — he loved my sweaters. He would talk about of my eating habits, my table manners, my spending habits. Ronnie was kind of an unsolicited personal behavior adviser." "It was a cold night in April. Early 2003. Cubs and Mets. Shea Stadium. There was this old-fashioned electric heater over our heads. The kind that glowed a bright orange when you turned it on. We stand for the National Anthem. All of the sudden I hear something sizzling, like bacon on a stove. Zzzzzzz. I smell something burning. I look at Ron. Ron Santo’s hairpiece is on fire. Smoke billowing out the top of his head. Little blue flame. I quickly grabbed a cup of water and poured it on his head. He said ‘How does it look?’ I lied. I said, ‘Ronnie it doesn’t look that bad to me.’"
"There was a yogurt machine in Phoenix. In the press room. On this yogurt machine, in big clear letters, it said, ‘Do Not Turn on This Machine Until Game Time.’ Ron Santo looks at this message and says, ‘I can’t wait until game time. I have to work! And besides, I’m Ron Santo.’ Click. He turns the machine on and happily fills a cup of yogurt. And then to his dismay, he cannot turn the machine off. Yogurt is spilling out onto the counter. Ronnie starts shaking the machine. There might have been some cursing involved. He starts to panic now, as yogurt is spilling out onto the floor. There’s a mountain of yogurt. Ronnie then does what any mature seventh-grader would have done. He runs away. ‘See you later, that’s someone else’s problem. It’s almost game time.’"
"Final week of the season. Cubs in a bitter wild card race with the Mets and the Giants. I’m making the call, I say ‘Fly ball to left field, Brant Brown is there. Brant Brown — drops the ball!’ And as soon as I hear it, I hear Ron say ‘Ohhh, noooooo!! !’ Three runs score. Heartbreaking loss. I look over at Ron. Now this is not an embellishment at all — his head is flat on the table. It was as if his forehead was glued to the table. I thought we lost him right there. . . . He goes down to the clubhouse. . . He’s in Jim Riggleman’s office, sipping on a beer. He’s in tears. 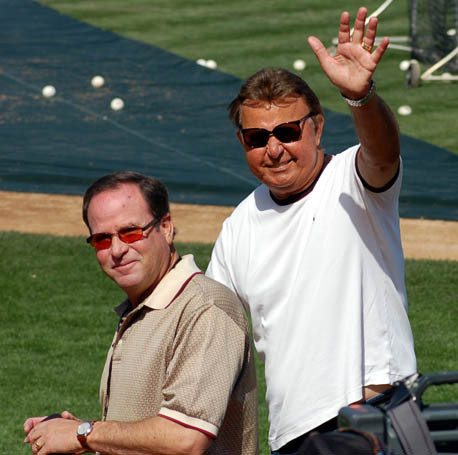 Jim Riggleman, the manager, walks over to Ron Santo the broadcaster, puts his arm around him, says, ‘Ronnie, hang in there. We’re going to Houston. We can beat the Astros. We can still make the playoffs.’ . . I had to laugh. Here was a manager cheering up a broadcaster. This has never happened in the history of American sports. Do you think Mike Ditka ever tried to cheer up Wayne Larrivee?" "Ron Santo will be missed and I think he would have enjoyed those stories and I hope you did too." "I think we are all going to remember him in a slightly different manner... however you remember him please do so with a big smile on your face. He would have liked that very much."